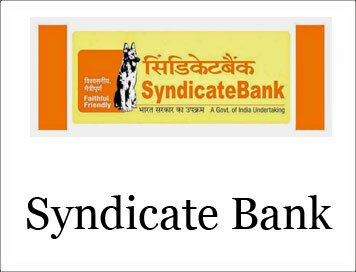 (Jobs) Syndicate Bank : Specialist Officers Requirement - 2019 | BANK EXAM PORTAL : IBPS, SBI, PO, Clerk, IPPB, Bank Jobs Aspirants Community. Senior Manager/Manager(Risk Management)-Candidates having Graduation Degree with Mathematics/Statistics as a subject with full time MBA(in Banking/Finance discipline)/Equivalent from any recognized institute OR having M.Sc(Mathematics/Statistics) and scored minimum 60% marks & 55% marks(SC/ST/OBC/PH) in aggregate OR CA/ICWA Exam passed & candidates who have acquired FRM/PRM/CFA/Diploma /certifications in risk Management with relevant field experience will be eligible for these posts. Manager (Law) – Candidates having Graduation Degree in LAW (LLB) with relevant field experience will be eligible for this post. Manager(IS Audit)- Candidates having Graduation Degree with minimum 60% marks with CISA & Additional Qualifications preferably OSCP or CEH certification will be eligible for this post. Security Officer—Applicants who have commissioned service in the Army/Navy/Air Force or a Police Officer not below the rank of ASP/DSP with 05 years of service or Para Military Forces with 05 years service. Territorial Army Officers should have minimum 05 years of embodied service will be edible for this post.